We hired George to replace and relocate 2 radiators in our home. The price was reasonable and overall he was easy to work with, he was able to accommodate our schedule and was very responsive to our texts. We would definitely hire him again. Thank you for taking time out of your busy schedule to write a great review. Royal Plumbing is happy your experience was good with Jorge. Thank you again. Royal Plumbing Management. 2. you ask us to change subfloor. for some reason you sad that hardwood installation quote suppose to include it ! is it ? do you remember that at the end you DIDNT PAY for it but you agree to price and we did it>? your very messy home: did we cover up our path outside with drop shits? did we shake them outside every morning before place them back ? did we walk anywhere except that ? 1. as the last request you asked to prove that bifold door will fit before you pay. all 3 of us check it. please dot lie ! 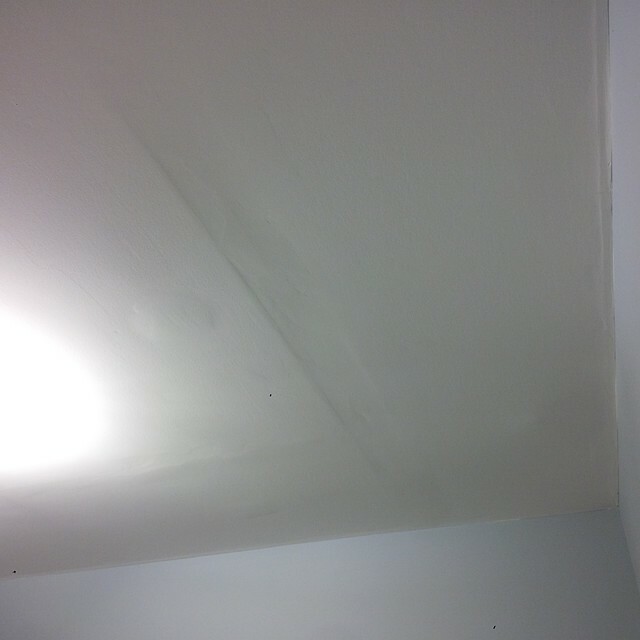 2. uneven ceiling in 100 years old house? of course it is. you asked to remove planks and plastering and install drywall. did you ask to level ceiling ? did you pay for it>? or again you thought its part of drywall installation as with hardwood ??? 4. not level floor. the plywood that we install instead of old planks? how can i level it? by CODE it have to be glued and screwed to existing joists. also and VERY important. even if i could: did you ask me to? did you pay for it ? about the casings: it was my personal opinion. when i sad that i also add but it's your choice. please don't cut corners when you write review! i see another LIE in you review. your house falling a part. there is no renovated rooms there. NON. not even single one. ZERO ! i understand that you pregnant but your hormones is not the reason to make up stories. i would like you to provide pictures of work we've done for you so you can prove me wrong. once again i'm appreciate your review in any case. your comments are very valuable for me for future project. thank you ! We have hired Aida twice to clean up our house after messy renovations and have been very satisfied both times. Her and her crew are quick, thorough, nice, and very flexible when last minute delays kept postponing the date for cleaning. We plan to hire her after all of our future renovations. Homestars, please take off that old review of many months ago. I already called, I already sent message with this problem, but you guys the homestars not solve the problem.No other company has this problem that undermines my list of reviews and my marketing page. Thank you and I hope to see this review in place. Robbie and his apprentice Chris did a wonderful job gutting our mess of a bathroom and rebuilding a beautiful and functional one in its place . The price was good, they were pleasant to work with, they finished on time and Robbie even came in a week later to fix a minor issue with the sink and install some accessories we had failed to purchase beforehand. We love our new bathroom and would definitely recommend Robbie to others. The only thing I want to point out is that if you are picky/specific with details you should be sure to work them all out with him beforehand as we found there were some decisions being made that we didn't love and would have done differently if they were discussed beforehand. But this shouldn't be an issue if you know what you want and are clear about it or at least ask him to check with you first. We hired Jeff to convert an upstairs closet into a laundry room. This was not our first time renovating and we have worked with many contractors in the past and I can honestly say that Jeff was our favourite contractor to work with. He was thorough, meticulous, easy to talk to, and made sure everything was done to code and to a high standard of quality. The job took longer than expected but he was there working late every day and the end result was perfect. We absolutely recommend him! Thankyou for the kind words! We will be there for your next reno when we can schedule you in. I know you guys are looking to continue your Renovations. We had a pretty bad experience with Joe from Blueprint Renovations. I would not recommend him to anybody.We hired Joe to remove a load bearing wall separating our living room and dining room and install a beam and posts/footings as well as relocate the electrical in the wall. We came home one day to find that he placed the light switches on the opposite end of the room from where we asked and marked for them to be. When we asked why it was done wrong, Joe said it was impossible to put it where we wanted them but offered no explanation about why. We ended up hiring our own electrician who was able to relocate it within 15 minutes. He said it was even easier and faster to do it the way we wanted it than the way Joe’s guy did it. When we let Joe know, he quickly changed his story and said that we had instructed him it was ok to put it there (what?!). He said we couldn't prove otherwise because there was no record so it was a matter of “he said she said”. Joe and his team also didn't bother using any plastic sheeting on our furniture or flooring, so we are now left with mudding stains on our floors and dust all over our couches. They used our kitchen sink to mix the mud in and left it stained every day for when we’d come home and need to use it for dinner. When we brought this up to Joe he said “I’m not a cleaner, go buy a mop and do it yourself”. One day we came home to find that they had accidentally cut the cable line for our internet. When we let Joe know it happened, he told me that wasn't true and it never happened. I was tempted to send him the cut wire in the mail. On the last day of the job he demanded that we drive to his place in the middle of the night to deliver his final check because he didn't want to come get it himself. Is this guy for real? He is incredibly rude and unprofessional and I would not recommend working with him or interacting with him at all.